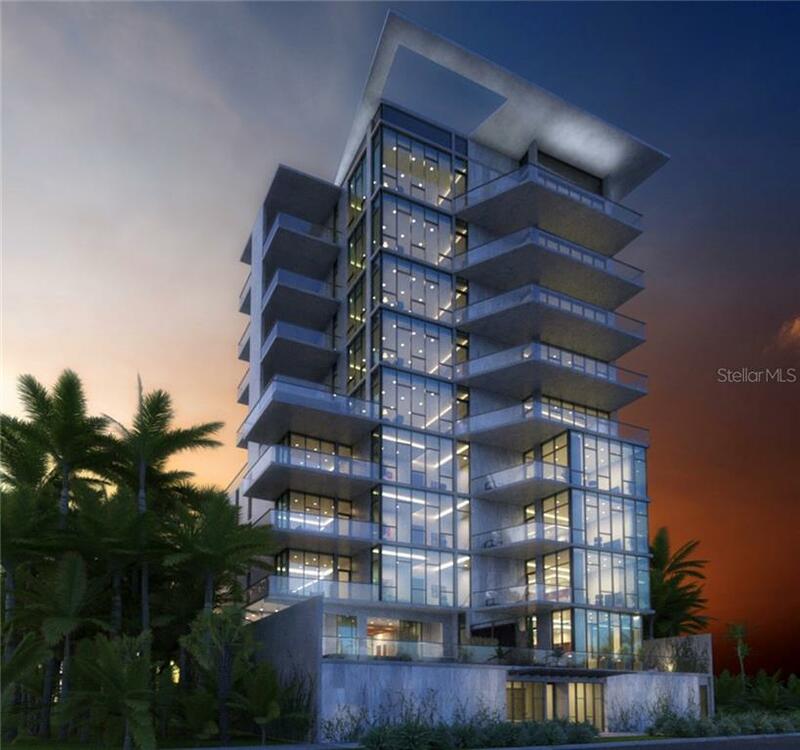 The Collection Sarasota is an up-and-coming premiere condominium residence close to the best the city has to offer. Only minutes from Sarasota Bay, this is where the breeze of the ocean meets the excitement of city living. The Collection Sarasota is an up-and-coming premiere condominium residence close to the best the city has to offer. Only minutes from Sarasota Bay, this is where the breeze of the ocean meets the excitement of city living. Residents of the Collection condos will enjoy the luxury of an upscale living space, while holding the pearl of Sarasota just outside the front door. 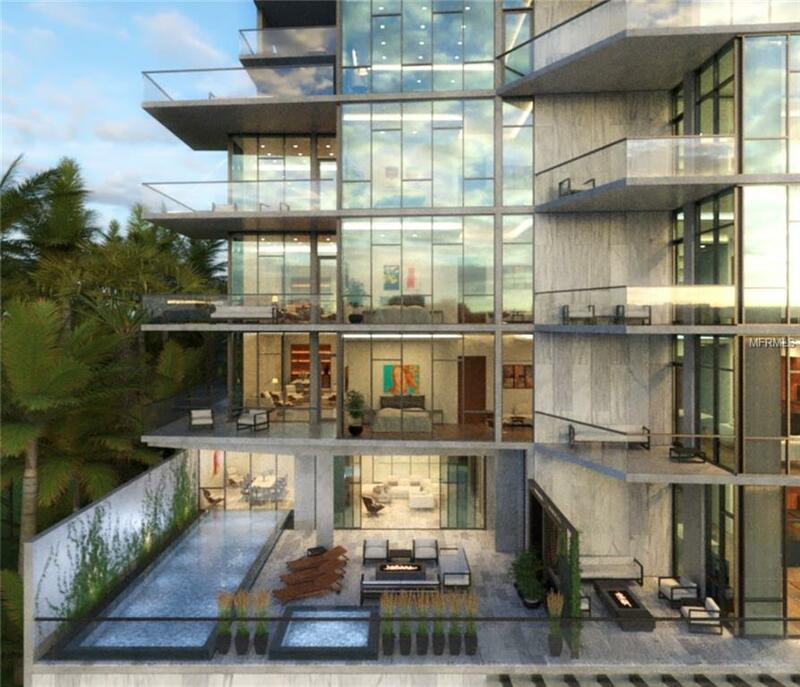 The building itself will have only 12 exclusive units, so you'll always know your neighbors. Choose from one of seven unique floor plans, each with 12 to 14 foot ceilings, large wraparound decks, and the beauty of Florida reflected throughout each room. These spacious condominiums will accommodate you and your family in the most luxurious comfort available in Sarasota. This residential building is a short walk to many convenient areas, including the bay, Whole Foods Market, Van Wezel Performing Arts Hall, Five Points Park, boutique shops, clubs, golf courses, and much more. Spend an afternoon at the Sarasota Garden Club then relax by the fire pit located in the courtyard of the Collection condos, or spend time in the Collection's spa. Practice laps in the lap pool before heading out for a day on the boat, or simply relax on your brand new large deck. Enjoy the security of up to two vehicles with your personal parking spaces, and bring your pooch with you to these pet friendly facilities. Whether you enjoy deep ocean fishing or kicking back on a park bench, this area has everything for every walk of life. Living in Sarasota brings a plethora of activities and new hobbies for every resident. The various wineries offer ample opportunities for tastings and fine dining. The Marie Selby Botanical Gardens give the nature lover a full range of natural settings to enjoy, while Almost Heaven Kayak Adventures treats visitors to waterway adventures. The nightclubs and late night fine dining offers night owls a full evening of enjoyment. Concerts abound at the Sailor Circus, the Players Theater, Florida Studios Theater, the Sarasota Opera, and more. Shoppers fall in love with the Sarasota Farmer's Market, Le Macaron, Keffie's ecoChic Boutique, and much more. Museums and art galleries, such as the Art Center Sarasota, The Lisa L Gallery, and more, serve for a wonderful afternoon of educational culture. Many of these locations are within walking distance of the Collection Sarasota, or at least close enough to take a quick taxi ride. Enjoy the eclectic world of Sarasota from your own back yard. 1335 Second Str... Sarasota $2,599,900 3 bedrooms, 3 bathrooms 3288 Sq.Ft. 1335 Second Str... Sarasota $1,749,900 3 bedrooms, 3 bathrooms 2491 Sq.Ft.